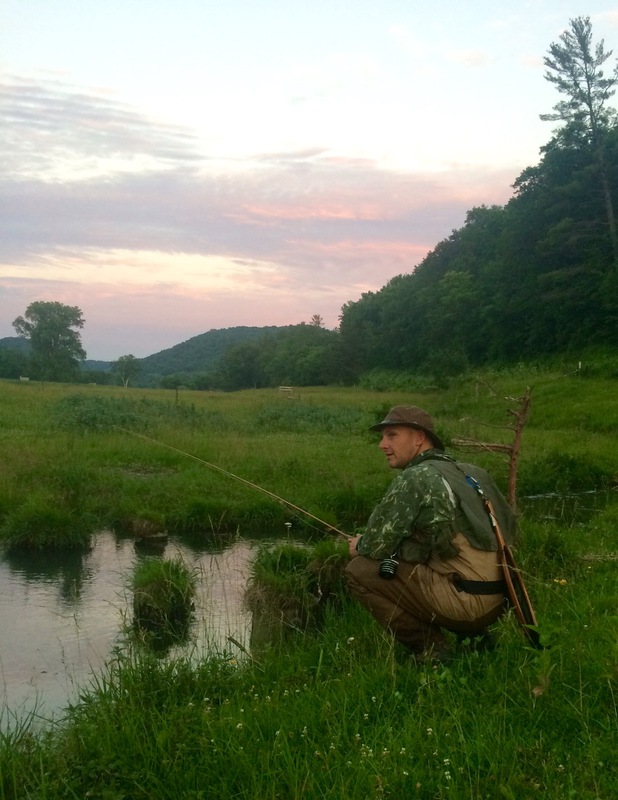 Fly fishing is a serene, contemplative pastime. It’s about conversations with friends, visiting the local restaurant near your favorite stream, the rod or hand-tied flies passed down from your grandfather and just “decompressing in the water,” local author Jon Osborne said. prints from the book and a set of hand-tied flies suited for local bass and bluegill angling. The Great Lakes Fly Fishing Co. also has donated a beginner rod and reel to be raffled off to a youth angler. Local author, police officer and fly fisherman Jon Osborne will speak about fly fishing at Herrick District Library as part of the series about Living Sustainably Along the Lakeshore. 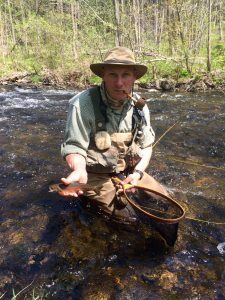 Osborne and Van Fassen will talk about several fly fishing options within 15 miles of the library that people can explore and fish for bluegill, pike, small mouth bass and other species. Anglers can spend endless hours in the water, or they can cast a line over their lunch break. Those who immerse themselves in the river come to understand it, to love it and to desire to protect it. Fly fishermen and women are known for being conservation-minded. Many volunteer their time and money cleaning up the streams and rivers they love so much. Learning and loving the water is “something you never really get to the end of,” Osborne said. No one wants to fish around trash. The Macatawa Area Coordinating Council will be at the event to promote spring volunteer opportunities such as its road and stream inventory and river clean up. “Fly fishing is very much a sport tied to philosophy, ethics and conservation,” said HDL staffer and event organizer Laura Grant. Osborne is in the process of writing a second book, “Flyfisher’s Guide to Michigan.” The book encompasses the history and lore surrounding 70 rivers of the Lower Peninsulia. Michigan has more than its fair share of opportunities for anglers and others who enjoy the water. With about 36,000 miles of streams, more than 11,000 inland lakes and 3,000 miles of shoreline, Michigan has access to more than 20 percent of the world’s fresh water, including the Great Lakes.  Andrea Goodell is community relations associate at Herrick District Library.